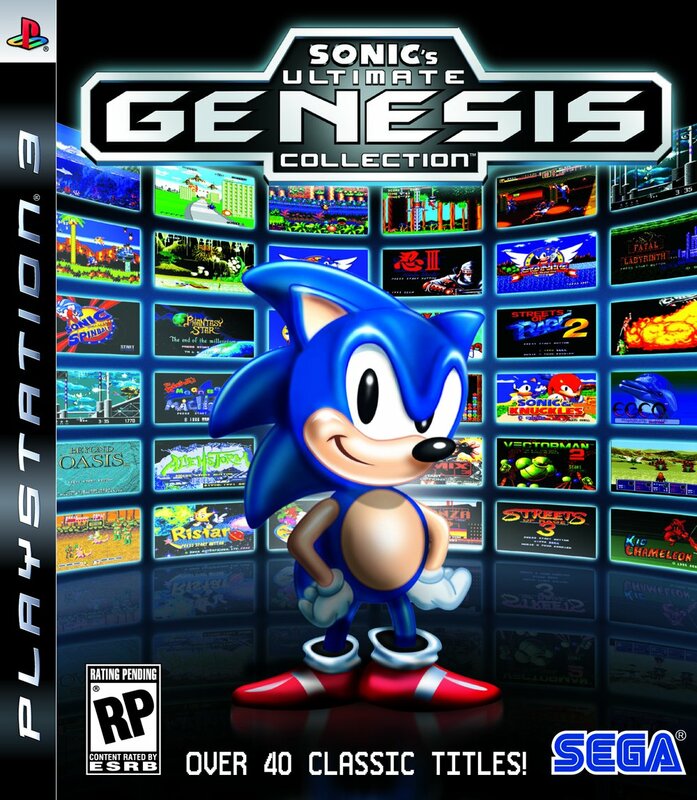 Sega has released the cover art for this collection. Phantasy Star IV made the cover! Click the thumbnail below for a larger version. PSIV's title screen can be seen in the second column, next to Sonic's ear. A battle screen (featuring Alys, with Chaz and Hahn dead) is in the last column, next to the bottom.